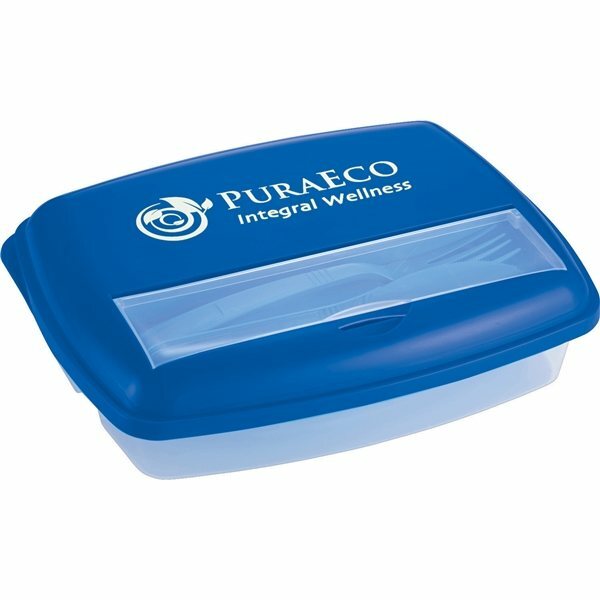 Four piece set includes lid, three section container, fork, and knife. The reusable fork and knife is stored on the lid in the utensil compartment with flip top lid to keep them secure. Our employees were very suprised to get this type of great gift for that holidays. Anypromo shipped rapidly without any problems. I used them to promote my own business. When we received the products, they were exactly what we had hoped for. Like the price and customer service. Want to know what finished product will look like. the quality is very good and the overall product is fantastic. We will be ordering many more of these in the future. No complaints at all. It's exactly what I was looking for.